front. The book block has six pages of which three of them are filled with stamps with perforation. The other three pages are ready for use. 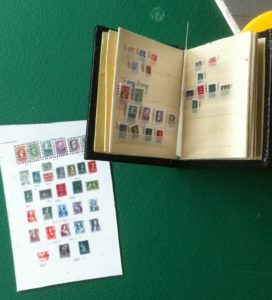 The stamps aren’t glued on the pages but are stocked behind the little strips and can be removed with the silver coloured genuine miniature tweezers. The stamps are copies of real Dutch stamps from the period 1876 until 1950. The Cigar-band album is manufactured with a hazelnut brown leather cover. The first 3 pages are stock with cigar bands are copies of cigar bands from Dutch cigars “Elisabeth Bas”. The cigar band isn’t glued and can be removed with the silver coloured genuine miniature tweezers. 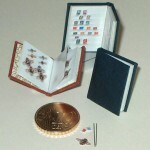 The photo album can be manufactured in different colours of eelskin, it is also possible to bind the album in imitation leather. The photo album has a bound book block of black paper with pergamijn paper in between and contains 12 pages. This poetry album is a typical Dutch item. The album is usually for girls and women, who asks relatives, and friends to write little poems and kind thoughts joined with a romantic or nostalgic illustration. 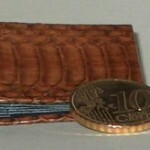 On the cover, manufactured in various colours imitation leather, the word “poesie” is gold tooled. It is sold with a hand-written poem and a small illustration. 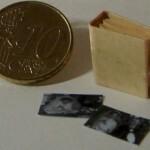 The Poetry album is a typical Dutch item. 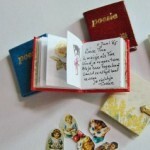 It is a book for girls and women where friends and family write wishes and thoughts for the owner. Often this poem is accompanied by a glued illustration. The poetry album is available in various colors imitation leather and has a personalized handwritten poem ‘roses are red, violets are….’ and a glued illustration.